should be entered into the mortgage calculator . 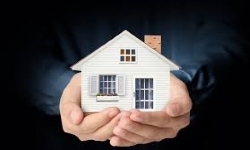 Homeowners insurance and property taxes are not calculated above because these amounts will vary from home to home. If you know these amounts, please add them to determine your total Monthly Mortgage payment. If you are unable to afford a 20% down payment, Private Mortgage Insurance (PMI) will also be added to your monthly payment.